We recently supplied and layed 325 M2 of alpha hemi-hydrate to a new build in Antrim. It was a house on the outskirts of Belfast and there was underfloor heating in the house. 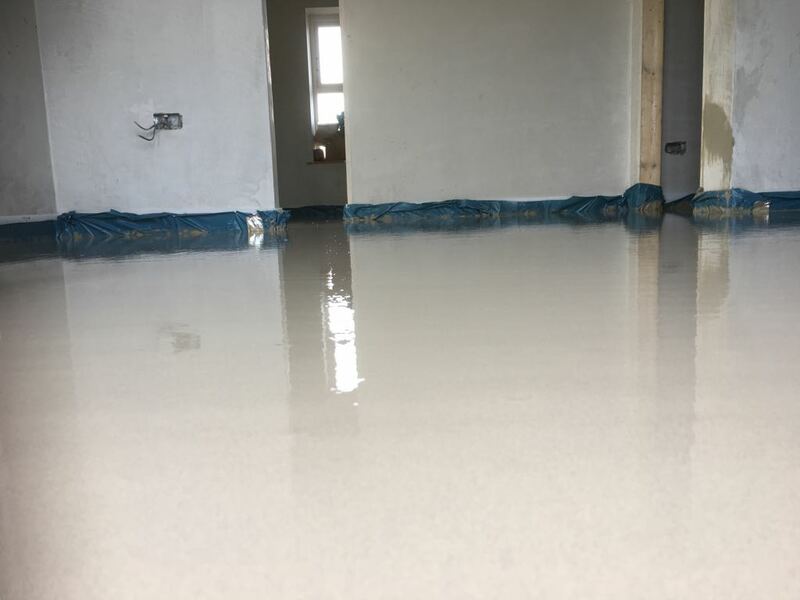 The client wanted our alpha hemi-hydrate as its at the top end of the liquid screeds. With most screeds you need to wait a week before you can turn your heat on. With our liquid screed you can turn your heat on after just two days. This allows you to tile a lot quicker. 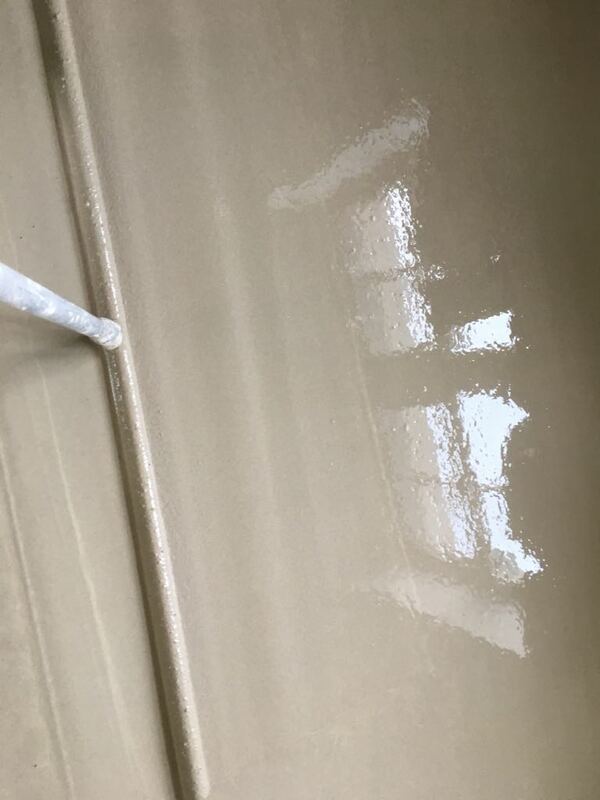 Also once you lay some screeds, you will need to sand the screed before tiling. 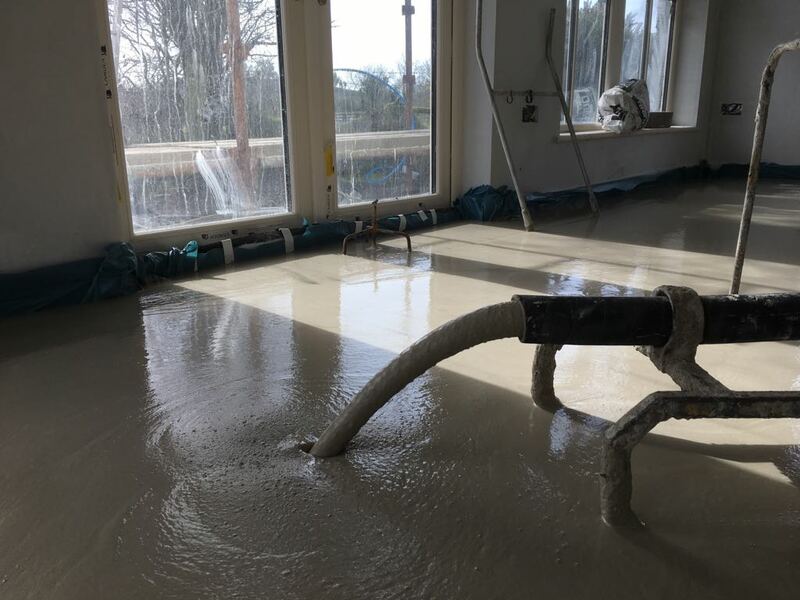 You do NOT need to sand our screed. The client turned his heat on after two days and I was back on site after 20 days to complete a moisture test. The floor was totally dry and ready for tiling. 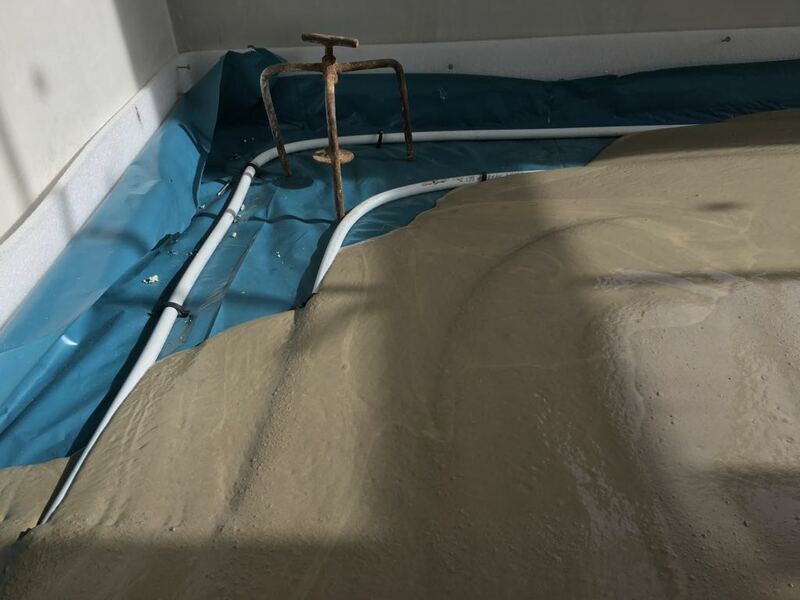 If you want more information on our screeds please feel free to contact us today and we can give you a no obligation quotation.